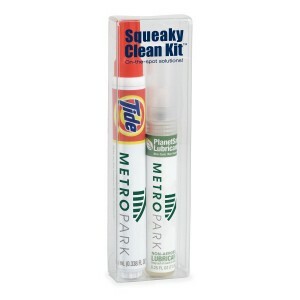 Looking for an item with dual use? 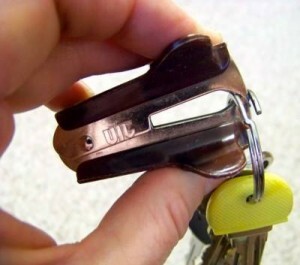 A staple remover of course is handy for taking out staples but another great use is saving nails when getting a key off of a ring. Think of what a hero you would be and the marketing of your logo at the same time. Great for auto repair shops, car washes, nail salons, accountants and more. 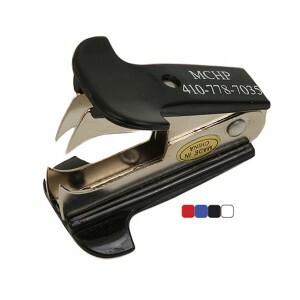 This 2″ staple remover comes in 4 colors: Black, blue, red or white. 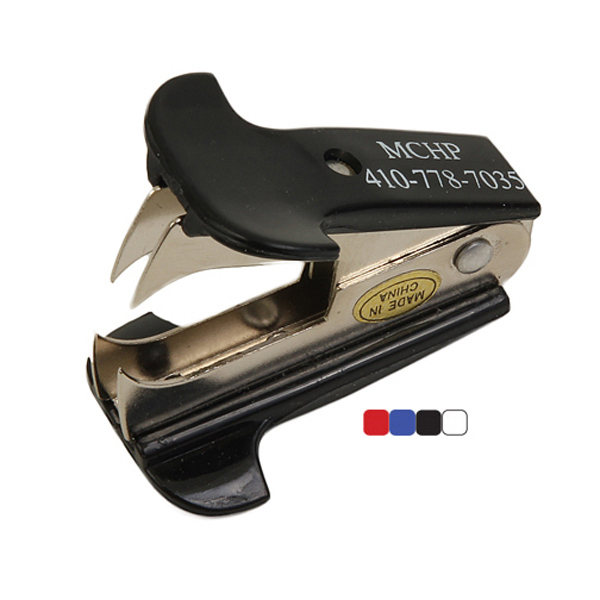 Imprint area is 3/4″ x 7/16″. 150 min at 1.25 ea, 1.20 ea at 300, 1.15 ea at 600 and 1.10 ea at 1200 or more. Great handout for tradeshows, business booths, golf tournaments. Set up is 60.00. Item SL201. 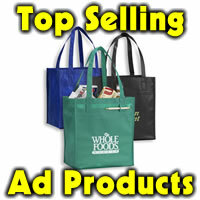 Want to give something that will make an impression at your next tradeshow or conference? A 5″ x 7″ journal with a white 15 pt. front cover, printed full color with protective gloss coating. The back cover is heavyweight (your choice of color) and a black pen safe back with elastic closure/bookmark and pen loop is included. The pen is inserted in the loop. 80 inside sheets, 60 lb. white offset with 100% post consumer recycled content. Inside sheets may be lined, graph or black. Choices of wire binding and pens to truly make this a custom journal. Recycled symbol printed in lower right corner. Logo and contact information printed in black on front of each sheet. Back of sheets is blank. 3 calendar insert included. Wire-O bound on left side in black. Order today! Min is 200 at 4.61 ea, 500 4.36 ea and 1000 are 4.10 ea. Item # IMJ4-PS. Want to shine some light on new marketing prospects? Keylights that people will use often and look at each time they reach for their keys will keep your name or logo top of mind. 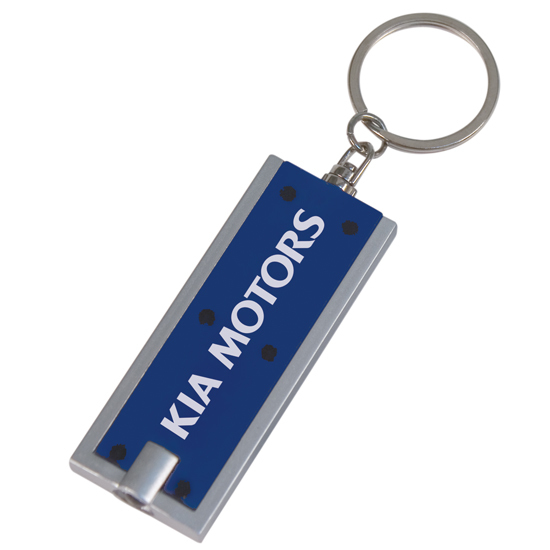 With a super bright LED light, these are one of the most popular promotional items around right now. Price includes bright white, silver or gold imprint on large imprint area. Available in black, red, blue, silver, green, purple white and orange. 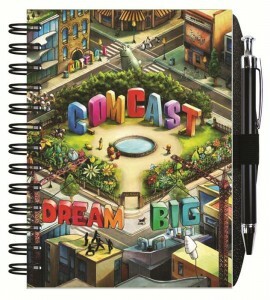 Something for every theme or do an assortment with one imprint color on all. 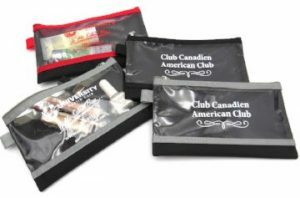 Poly bagged, these keylights are ready for distribution at trade shows, networking events or as a favor at individual place settings at a business event. Minimum is 250 at 1.10, 500 at 1.05, 1000 at 1.00 and 2500 + .95 ea. Set up 50.00 first time, 30.00 repeat exact set up. Light to ship and handy as well.